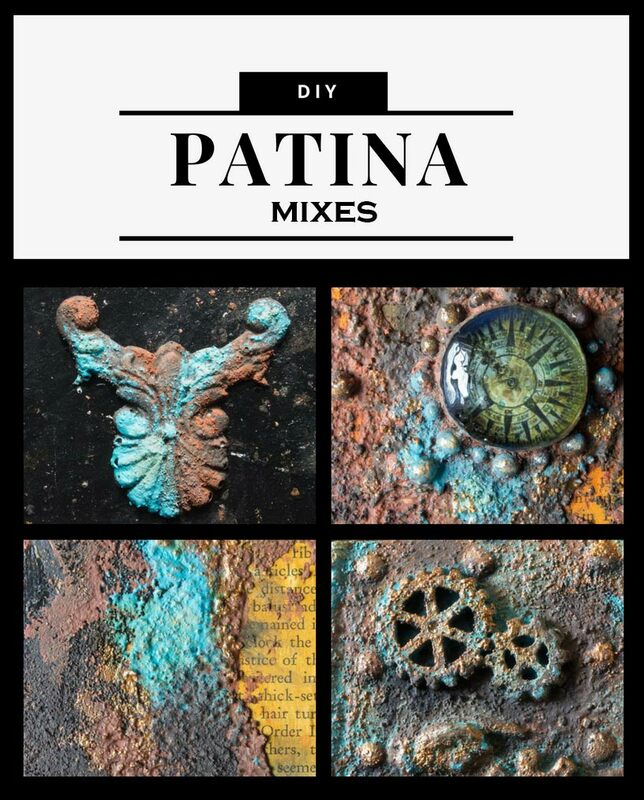 DIY Patina Mixes – Make it Yourself- Updated with Video! Perfect with DIY Rust Pastes! 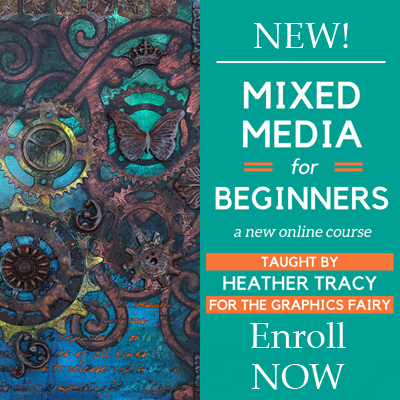 Hello, my beloved Graphics Fairy Friends! 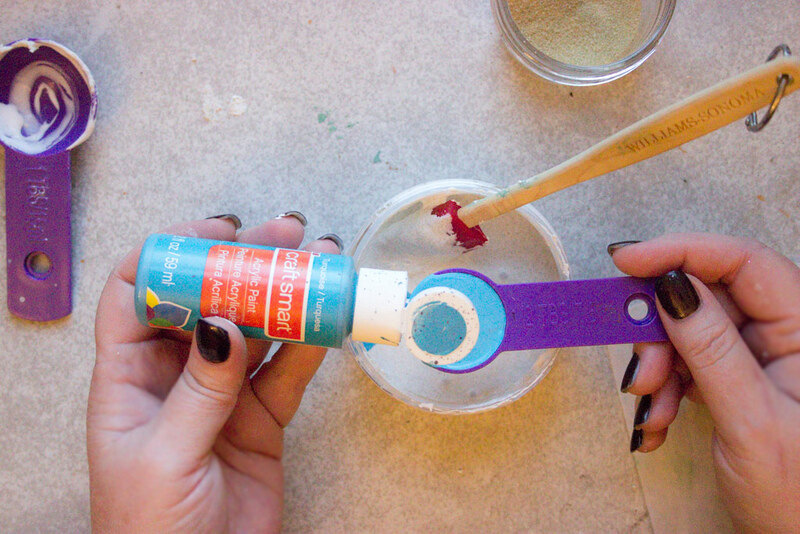 Heather from Thicketworks here, with another useful and fun Product Hack! Many of you have shared your success with the DIY Rust Pastes Product Hack we brought you a few weeks ago…now it’s time to Step-Up our Game! 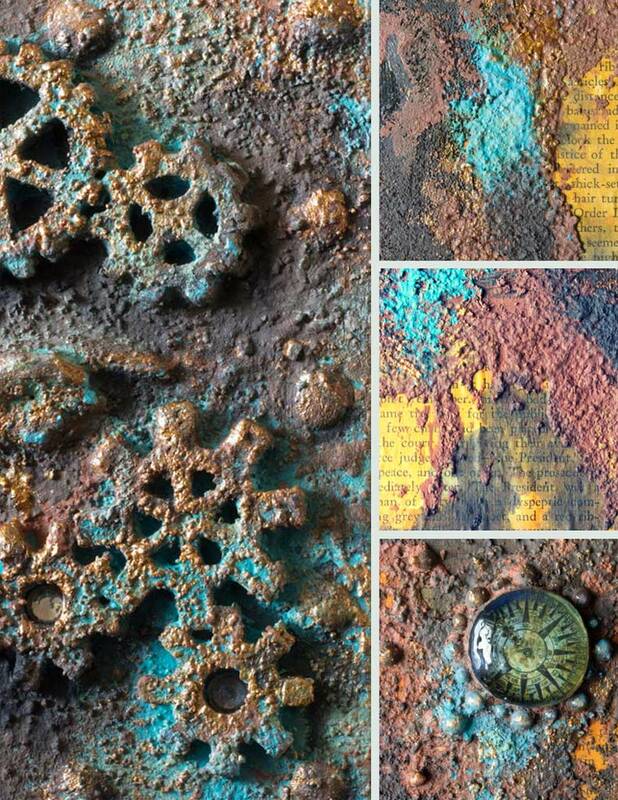 If you’ve made up a batch of DIY Rust Pastes, then this process (and the associated glorious MESS) will be very familiar…and yet, due to the addition of the gorgeous Brass Metallic Highlighting Mix, there are a few crucial differences. It’s important to keep in mind that although the Heavy Gloss Gel isn’t cheap, over time, we will easily recoup our investment! I mean, how exciting is it to proudly mix up our own Batches of Magic? Besides, who doesn’t love an excuse to add more Art Supplies to the Stash? As always, I’ve done my best to concoct a reasonable facsimile of the much-anticipated commercial version. It goes without saying that I cannot and do not claim that our DIY Patina Mixes are the equal of those offered by commercial sources. That would just be silly! It’s fun and easy to create! It’s economical to create large quantities! 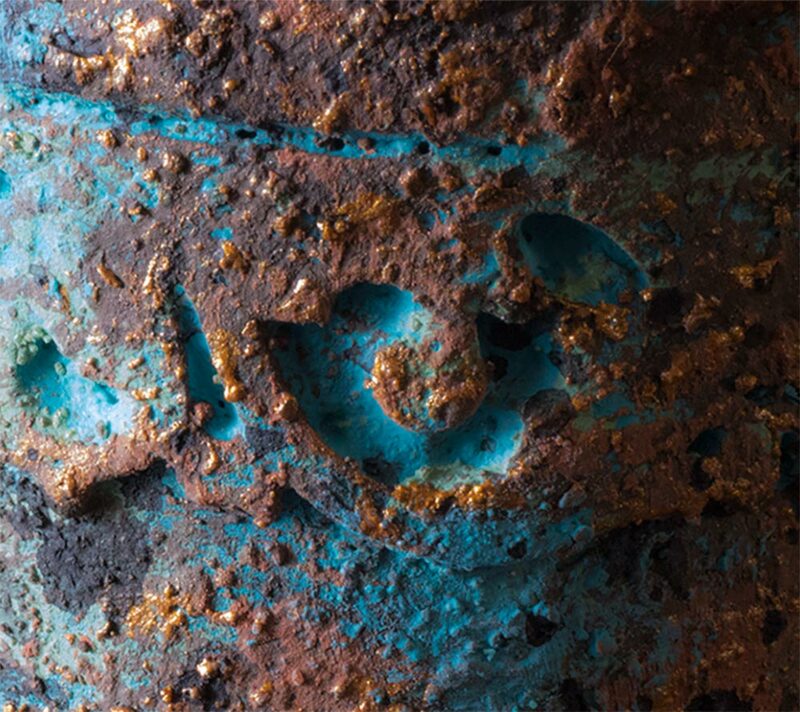 You can start your Patina Mix Adventures NOW, rather than having to wait! It looks fantastic, and sticks to almost anything! Let’s get MESSY, shall we? Lots of damp rags or Baby Wipes and access to a sink! Very messy indeed. 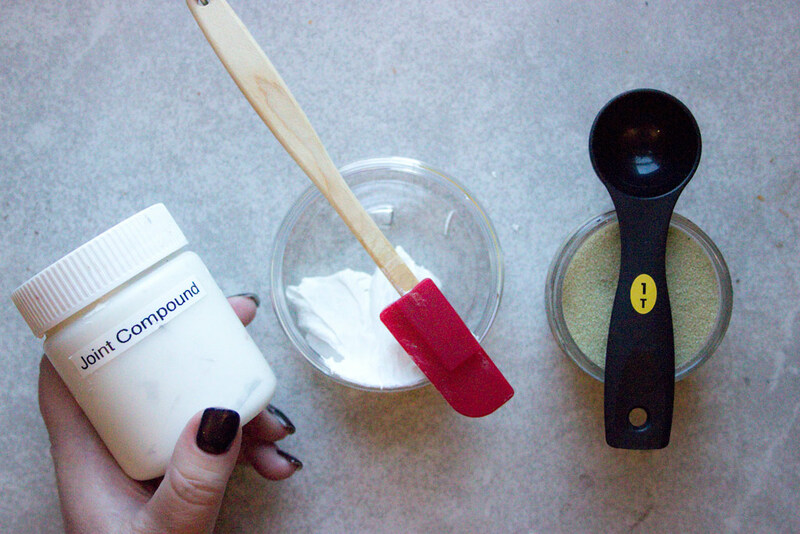 Note: scrape and wipe as much of the mixtures off of your tools and hands as possible, and dispose in the garbage prior to washing up- we don’t want these goopy mixtures to go down the drain! Note: For this demonstration, I decided to make larger quantities – so the measurements are a bit different than the DIY Rust Pastes. Just keep the ingredient proportions the same, no matter how much or how little you choose to make! Also, since I’ve chosen to work in larger quantities, I’ve chosen larger jars…this means that the mixture can be created easily within the jar, rather than having to mix in separate containers. 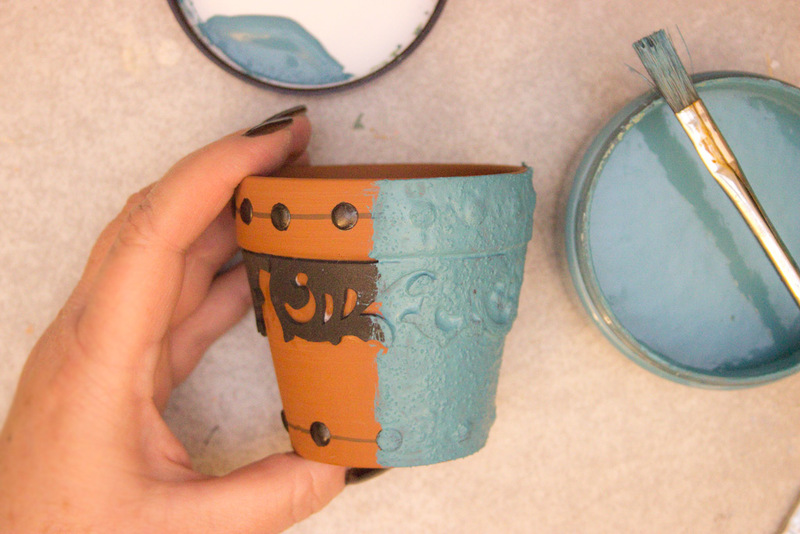 If you’re using smaller jars, just mix the DIY Patina Mixes in a bowl, and then transfer into your jars! 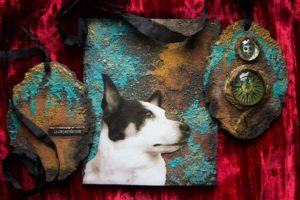 How to create DIY Patina Mixes! Mix in 3 Tablespoons of fine sand. 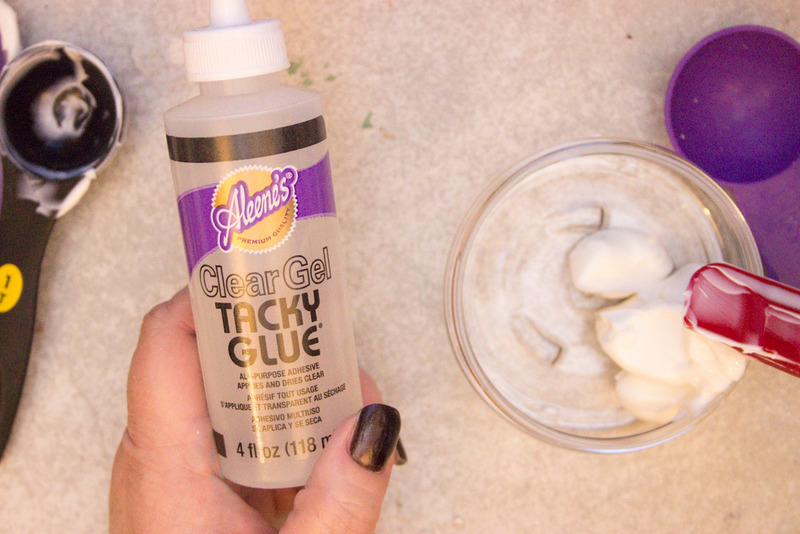 Add 2 Tablespoons of Aleene’s Tacky Glue. 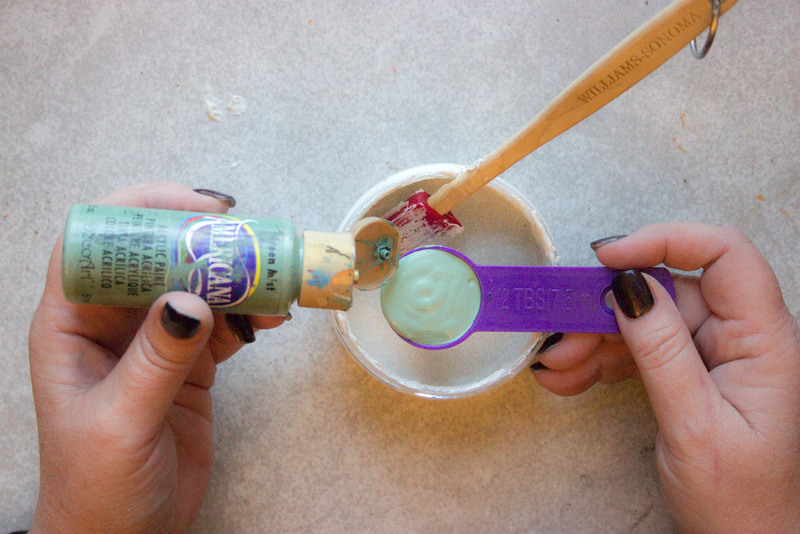 Add 1/2 Tablespoon – Light Green Craft Paint. 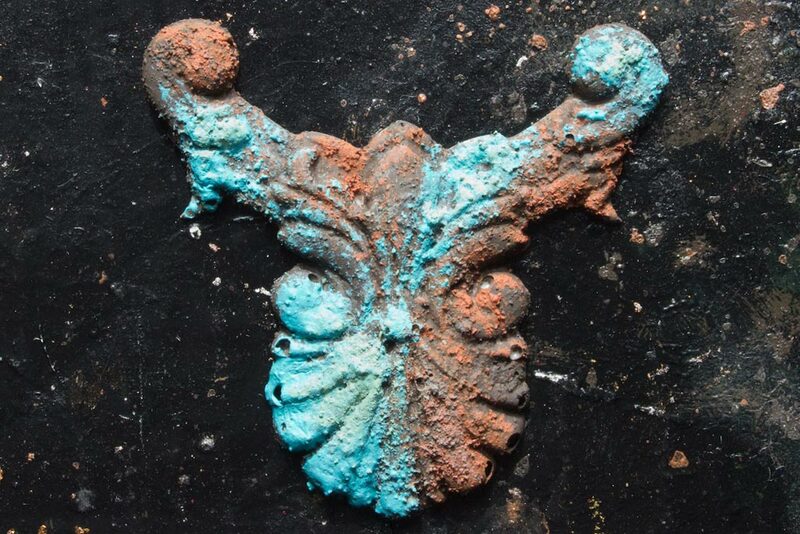 You’ve just made your first DIY Patina Mix! Yay! 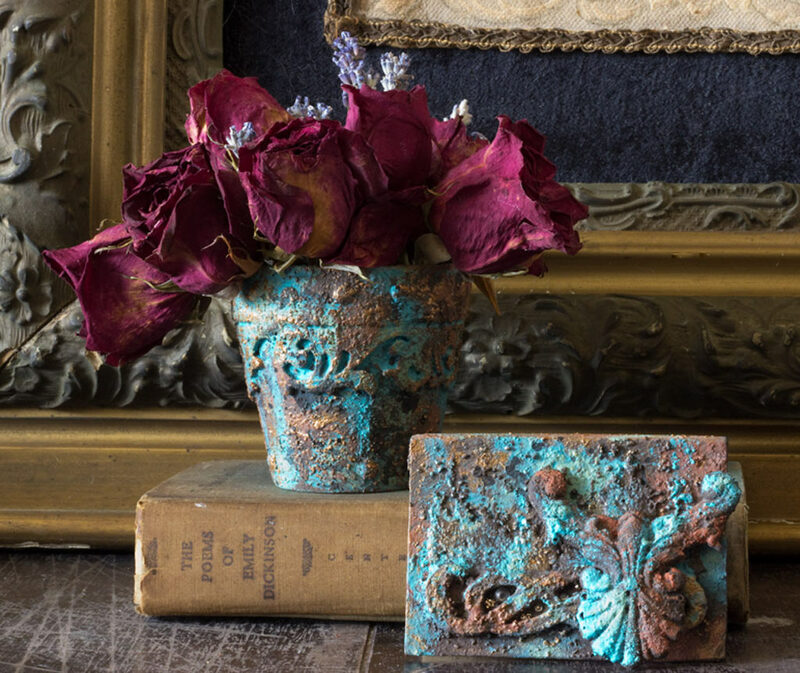 This will give you a lovely, vibrant shade of rich Aqua – perfect for those Bright Patina Hues! 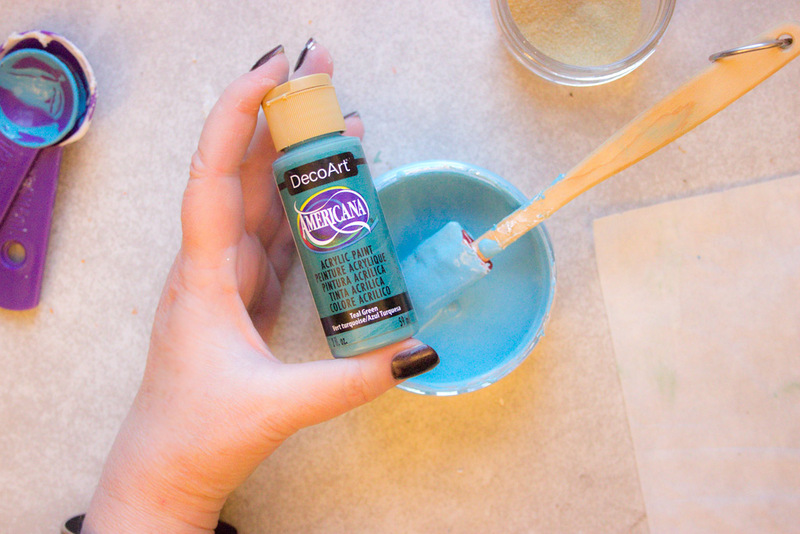 Then 1 Teaspoon of Teal Green! Okay, here’s the REALLY cool part…ready? 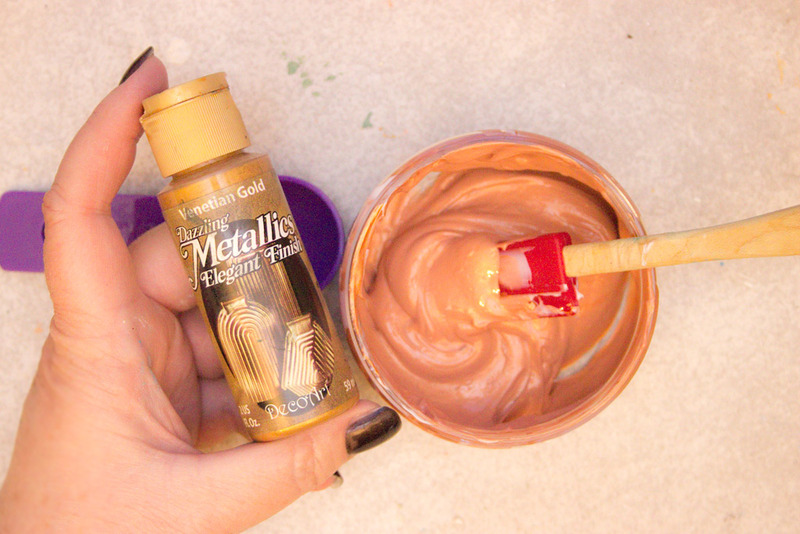 #3 -Brass Metallic Highlighting Mix! 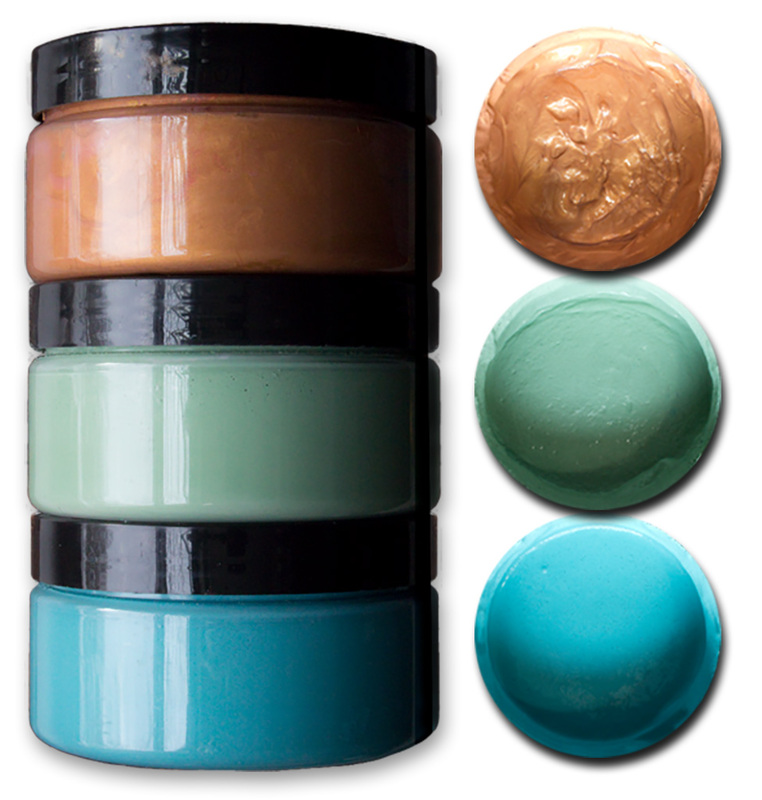 This is used as an adjunct to the Patina Mixes, and will add Rich, Glossy, Dimensional and GORGEOUS Metallic Sheen anywhere you use it! Oh, yeah. 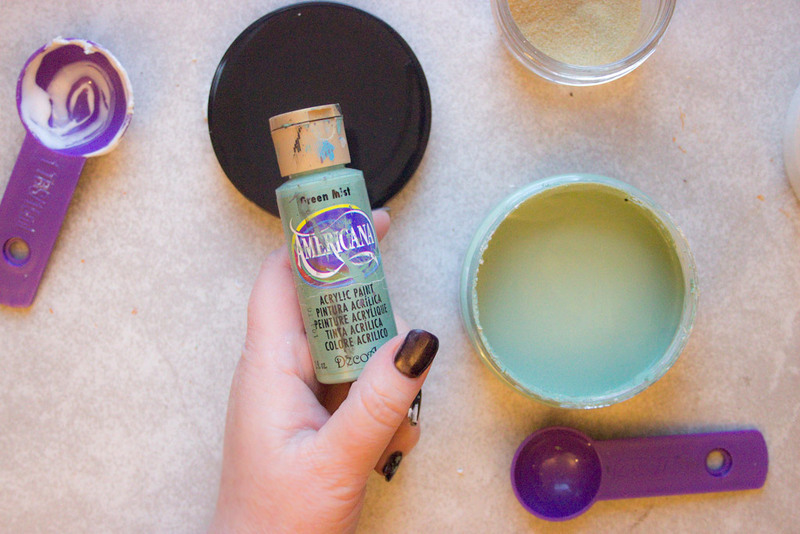 You may have just the right paint in your stash already – Experiment! Have fun! 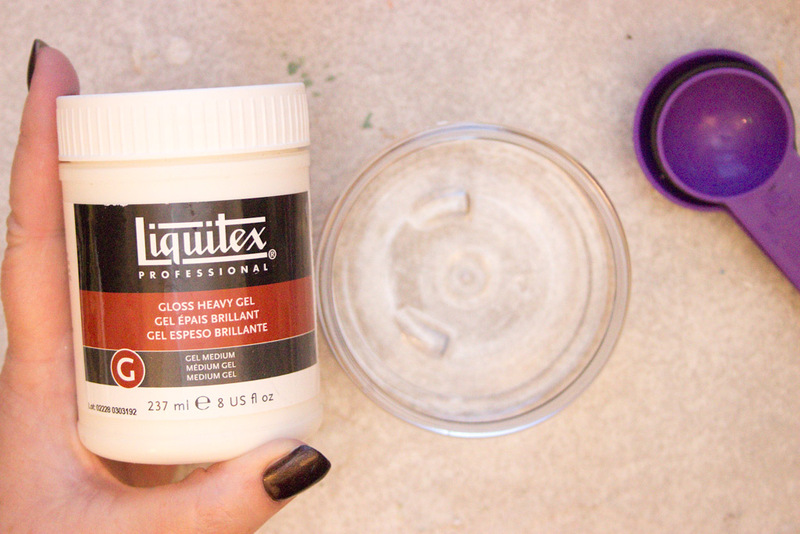 Begin by adding 4 Tablespoons of Gloss Heavy Gel to your container. And, yes, if you have a different brand in your stash, USE IT! The important thing is this: it’s gotta be THICK, and it’s gotta dry CLEAR & GLOSSY! 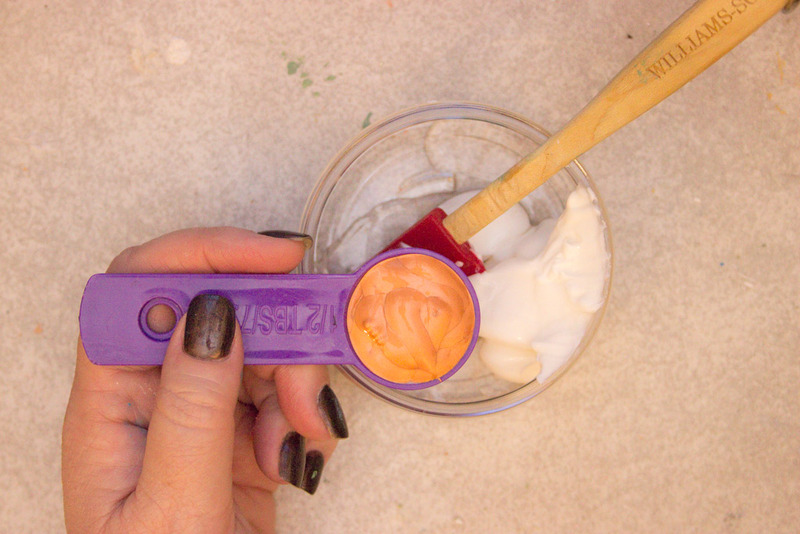 Okay, next, add 1 Tablespoon Clear Gel Tacky Glue, and mix it up! Now, I haven’t tried other brands…so I can’t tell you if they will work – try it and see! Again, the qualities that make this work so well: it’s THICK, and it dries CRYSTAL CLEAR! If you love the Copper as is – leave it at that! These beauties will BEG you to play with them! 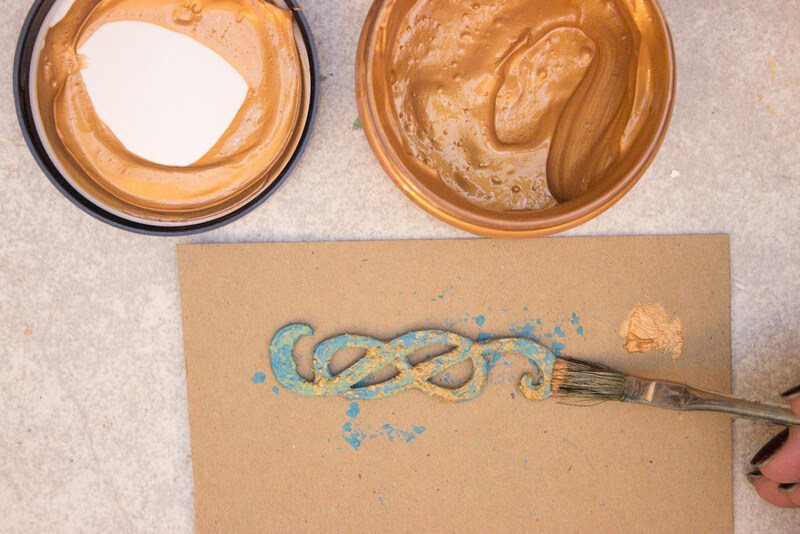 Add a base layer of Aqua DIY Patina Mix to raw Terra Cotta, and even Fun Foam! 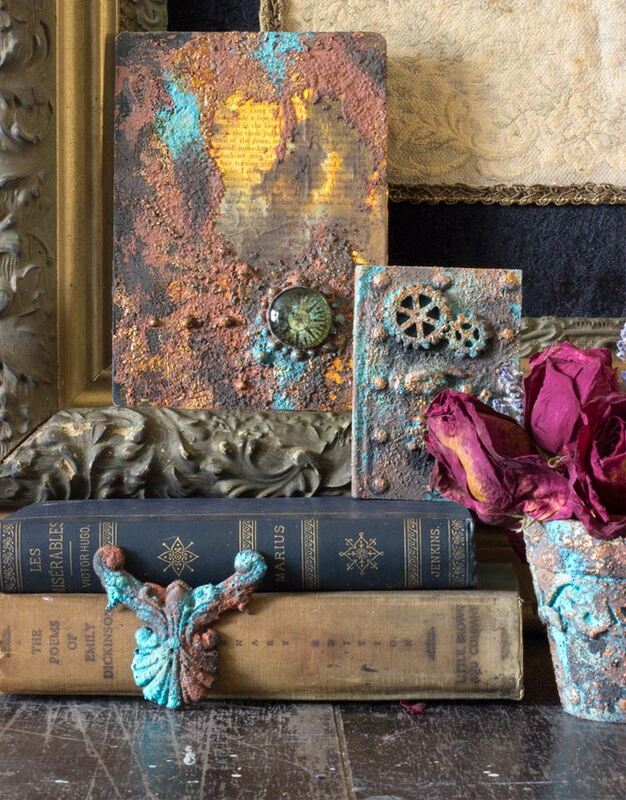 Once dry, you can add as many, or as few, layers of DIY Patina Mixes & DIY Rust Pastes as you like! You can even omit the Brass Metallic Highlighting Mix altogether, and STILL achieve super-cool effects! By blending small amounts of Light Green DIY Patina Mix into larger areas of Aqua, a subtle but deliciously ‘glowing’ effect can be achieved. Note: the casting below was shiny white plastic – NO PRIMER REQUIRED! 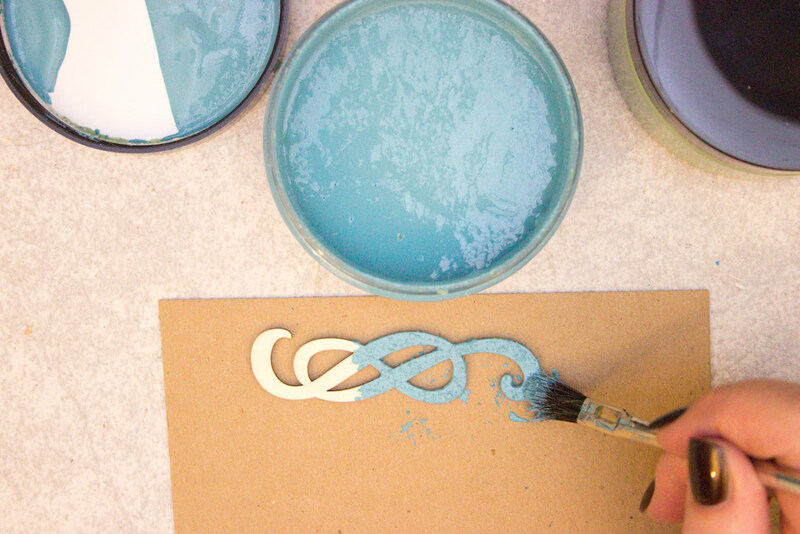 Add touches of Aqua and Light Green DIY Patina Mixes to your Rusty Projects for a pop of exciting color! 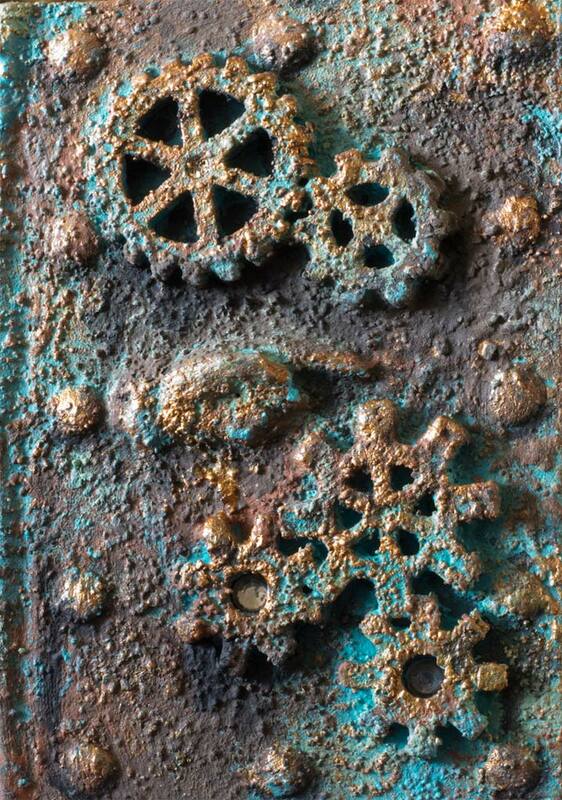 Or, reverse the effect and add touches of DIY Rust Pastes to your Patina Projects! Um…am I wrong for loving this SO much? Once dry, the surface is almost rock-hard, gritty and intensely pigmented. Yay! 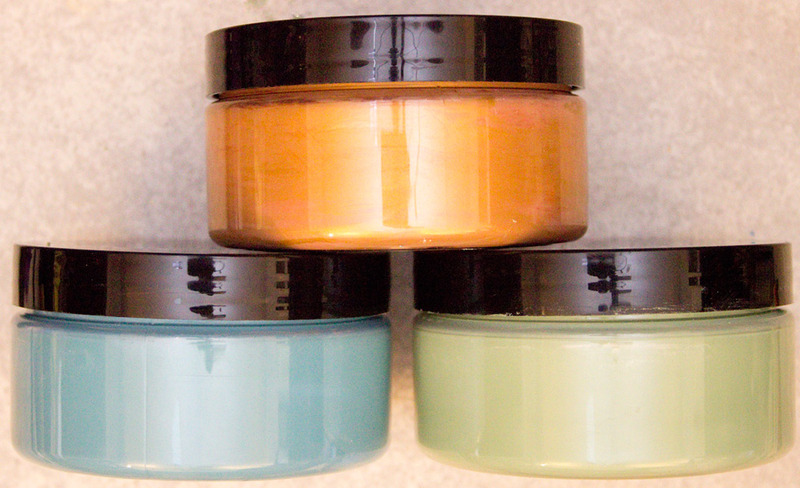 It took about 2 hours to whip up these DIY Patina Mixes and slather them on everything I could grab! I sure hope you have as much Messy Fun as I did! Thanks for visiting The Graphics Fairy today! 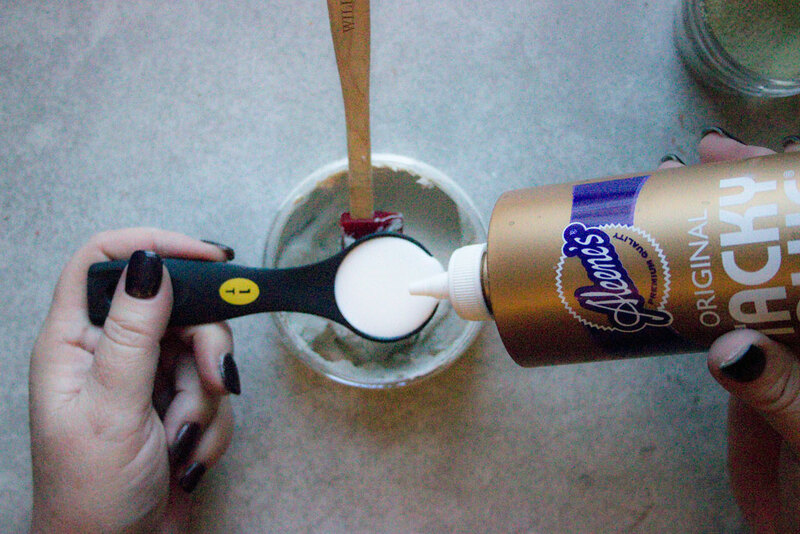 Now, go make your DIY Patina Mixes! 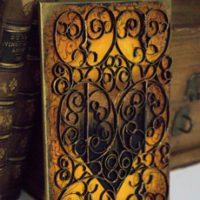 Come see me at Thicketworks, when you crave a bit of Quirky Crafting! 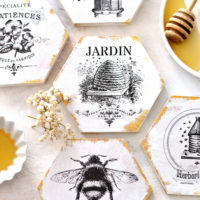 DIY French Honeycomb Coasters + free printable Faux Wrought Iron Technique – Gorgeous Mixed Media Effect! 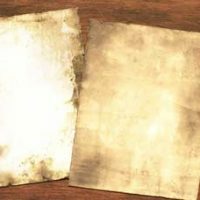 Ancient Parchment Technique – Easy! « Natural History White Heron Bird Printable – Instant Art! Heather, you just amaze me with the wonderful things you come up with! You really are awesomely talented and uniquely gifted. Add to that your sweet kindness and delightful personality and it’s no wonder you have so many people who love you and your art. Thank you so much for sharing your special gifts with us. I just wanted to tell you how much I appreciate your doing this. I hope you get tons of notes telling you the same thing over and over because you truly are a very precious lady. When Karen invited me to become a part of her team, the whole vast world opened up – revealing astonishing revelations like YOU. Heather, thank you so much for this tutorial. I was going to buy the commercial set, but may try this first, as I have many of the products already. Wow! Wow! What a fabulous recipe! Your results are gorgeous. I am going to make this ASAP. Thanks for sharing it all! Do you have to use this all up at once, or does it store well, being closed up tightly? I got all the ingredients a couple weeks ago, and shortly, I will be ready to try it out. Thank you so much for this recipes! I made this patina mixes and on the green one i did use the joint compound, but after reading the health warnings i decided i wouldn’t use it again. So for the blue patina mix instead of the joint compound i used baking soda and it worked just fine, i just used a little bit more tacky glue. 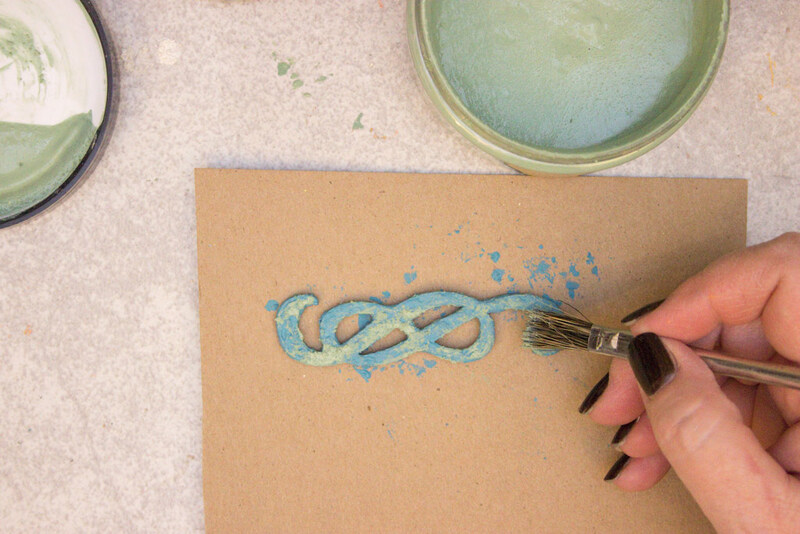 Do a I need to dry with the heat tool or can I paint a layer- wait for it to dry- then do the next layer of paint? Could this be use on outdoor items? Just wondering how weather proof it might be?? Hi Janet – this is not suitable for outdoor items, I’m afraid. The ingredients are likely to re-emulsify if exposed to damp conditions. I can’t tell you how much I appreciate this tutorial! I bought the name brand patinas, but the smell makes me sick and gives me a migraine. I had given up on achieving this gorgeous look, but as luck would have it one of your videos popped up in my YouTube feed and in the description box I saw the link for this post! 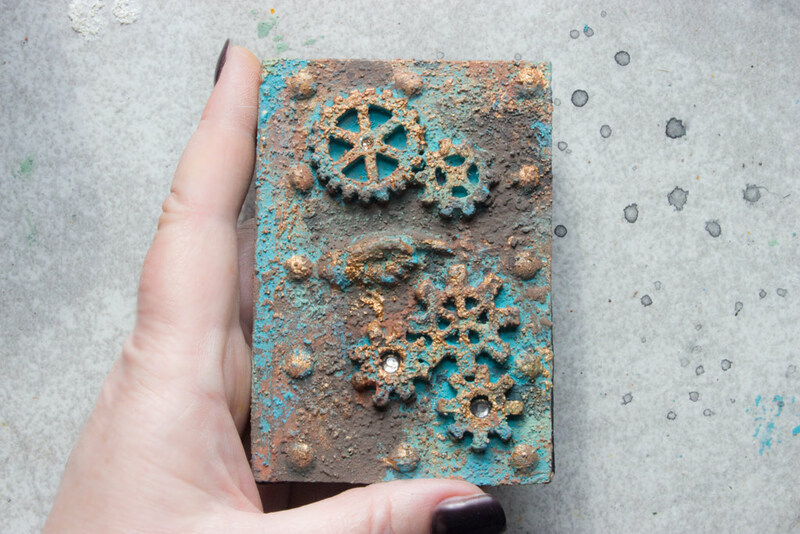 I will make a batch of your rust paste and patina this weekend and I am so excited! Oh that is wonderful Kelly, thanks so much! Good luck and have fun!! 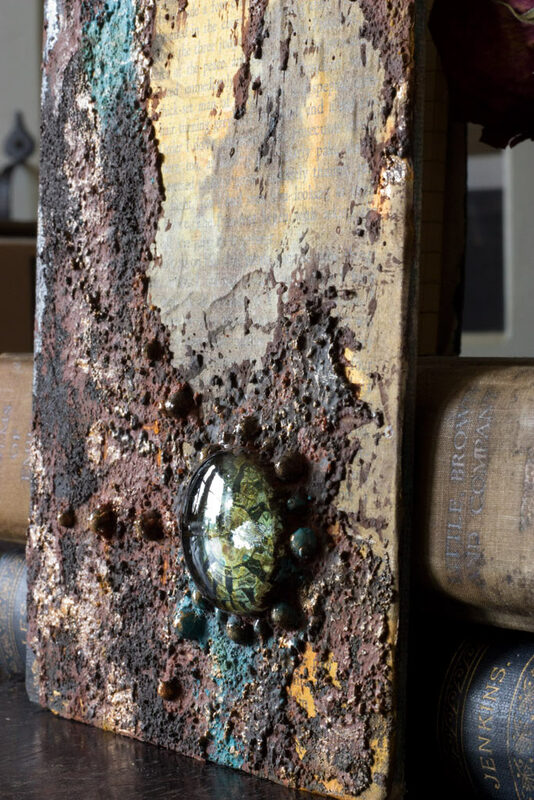 What is the difference between the rust and patina? Thank you so much for sharing this. 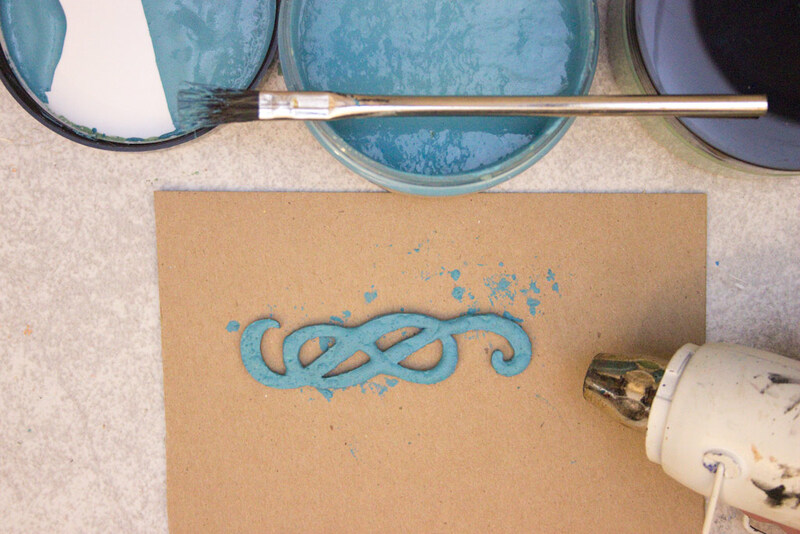 Do you know if the color of fine sand makes a difference in the final product? For some reason, some colors of sand like blue are a lot cheaper than the more neutral colors. I can’t wait to try this recipe. Where can I purchase the fine sand at a reasonable price? Can I use this on furniture? And how do I seal it to protect it? I was wondering if this could be used on the metal parts of a ceiling fan? I’m looking to upgrade a fan and love this look!